Transform exciting heroes and villains inspired by 30 thrilling years of the Transformers! Each sidekick figure transform into a weapon or accessory! For millions of years, Autobots and Decepticons have waged war against one another for control of Cybertron. Today, you can bring home some of their biggest heroes with the Transformers Generations Legends Figures! These exciting toys transform from a vehicle to a robot that measures roughly 3-inches tall. 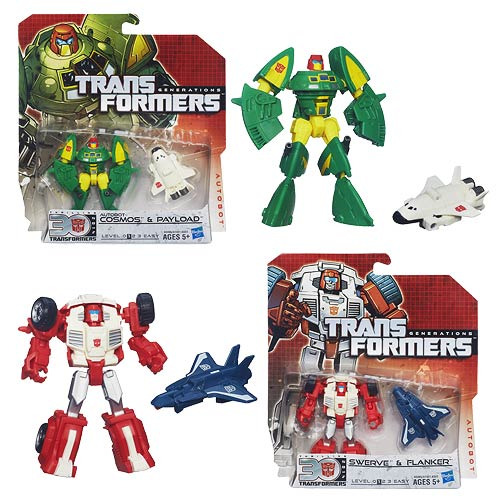 Get your Cybertronians now! Ages 5 and up.